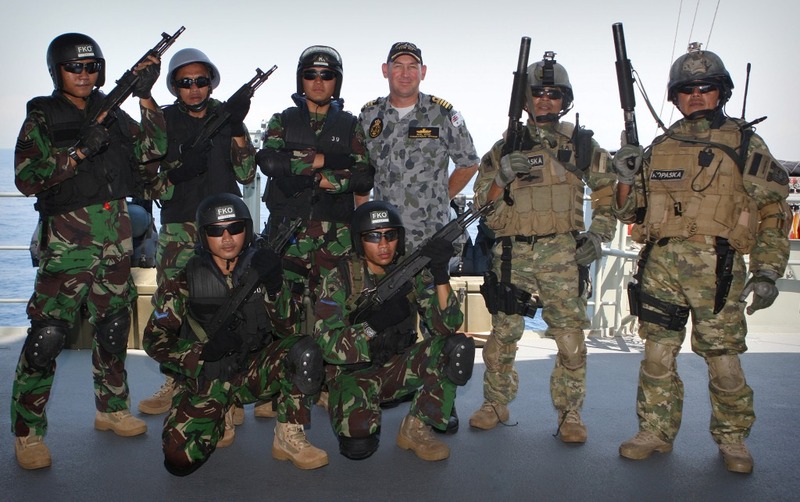 An Indonesian Navy (Tentara Nasional Indonesia Angkatan Laut; TNI-AL) boarding party with Captain Mal Wise, Australian Commander Task Group after a simulated boarding exercise conducted on HMAS Perth (FFH 157), during Exercise KAKADU 2012. Interesting to note the integration of Indonesian Naval SOF, KOPASKA (Komando Pasukan Katak; Frogman Commando Team), operators with a regular Navy boarding party. Australian boarding parties often operate in a similar way, with members of a Clearance Diving Team attached. KOPASKA was influenced by USN Underwater Demolition Teams (UDTs) and US Navy SEALs, and has roughly similar operational responsibilities, including maritime counter-terrorism. Their insignia features a winged frog and anchor device, and their motto is “Tan Hana Wighna Tan Sirna” (“there is no obstacle that cannot be overcome”). Uruzgan police chief Matiullah Khan had nothing to lose when he joined President Karzai in criticising an ADF raid in the province. Contradicting the official narrative, Khan and Amir Mohammad Akhundzada, governor of Uruzgan, allege they were not consulted ahead of the ANSF–ADF raid during which two Afghan men, a 70-year old iman and his 30-year old son, were killed. Furthermore, Khan says his troops were not involved as required by memoranda of understanding. But Defence Minister Smith insists the raid targeted confirmed insurgents, and that it was partnered (80 Afghan troops to 60 ADF) and authorised. An ISAF media release states that the operation was planned and coordinated with Afghan officials, including the provincial governor. While there are uncertainties in both stories (including whether the men were confirmed as insurgents before or after they were killed), there’s also the matter of trying to work out which side is more or less telling the truth. We can’t assess the facts ourselves to determine who is right so we’ll have to hedge our bets one way or another. But the options are grim. If the Minister and ISAF are telling the truth, they’ll still be backing a police chief that’s willing to lie to save his skin. To defend their facts, they’ll either have to say Khan is being dishonest or admit he lacks information about his own province. If Khan’s telling the truth, he’ll score points amongst Afghans being seen to admonish the west but, more importantly, we’ll be forced to question the credibility of our own government. Neither option is desirable. 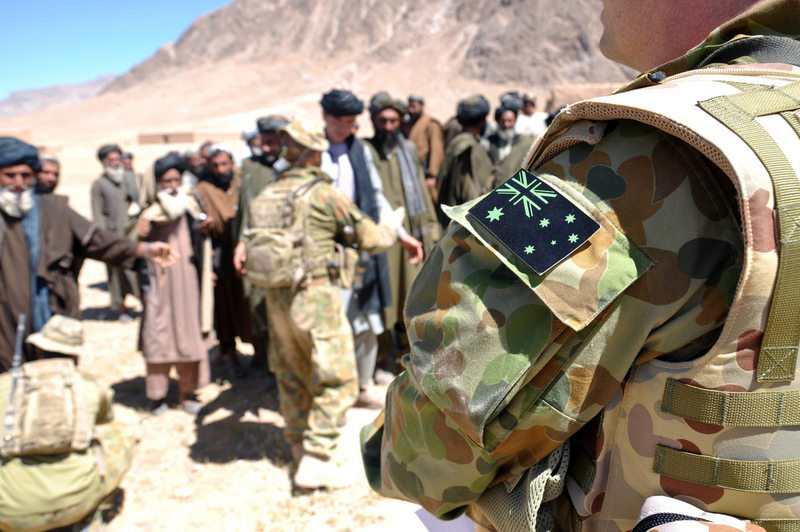 It’s a stunning example of the double bind Australia finds itself in regarding the truth in Uruzgan. But either way, Matiullah Khan wins and we lose. Image courtesy of Flickr user ISAFmedia.